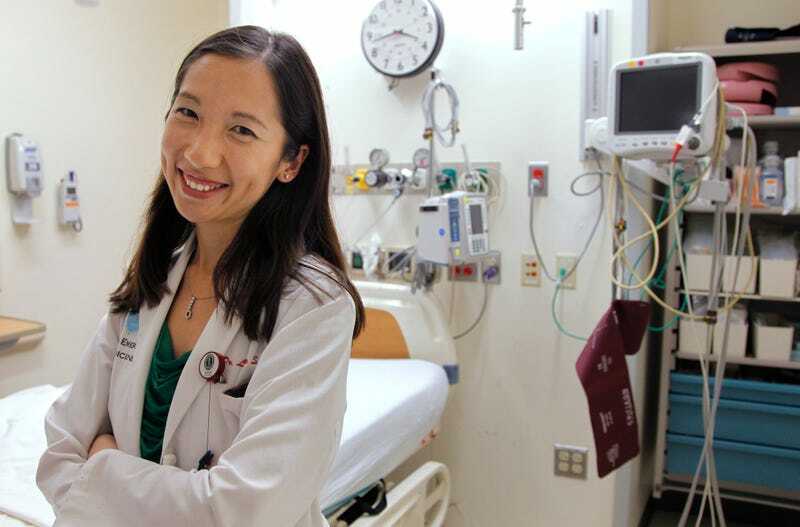 On Wednesday, more than seven months after it was first reported that Cecile Richards would be stepping down from her position as president of Planned Parenthood, the organization announced her successor: Dr. Leana Wen, who has been serving as Baltimore’s health commissioner. Wen is expected to begin her new job in November. The Huffington Post reports that Wen, 35, was born in Shanghai and moved to Los Angeles with her parents when she was eight years old. The New York Times reports that Wen grew up poor, relying on Medicaid. Wen will be the second physician ever, and the first in 50 years, to preside over Planned Parenthood. She graduated from college when she was 18 and first volunteered at a Planned Parenthood clinic in medical school—this was all before she became a Rhodes Scholar. She’s since been an emergency room doctor at two hospitals in the Boston area, according to the Huffington Post. A record of pushing back against the Trump administration’s anti-choice, anti-woman agenda is another of Wen’s superb credentials. Rolling Stone reports that when Wen discovered last summer that Trump intended to cut a grant for teen pregnancy prevention programs she described to CNN as allowing for “comprehensive reproductive health education in middle schools and high schools” throughout Baltimore, she got the city to sue the administration. They won. This woman sounds absolutely incredible, and all the more so for taking one of the most challenging high-powered jobs imaginable at this time.